Location, location & location. This is a gem situated in prestigious Quilchena. Built by European builder, this 6 yr old designer smart home features quality spacious living environment with detailed mouldings, designer colours, 6 bdrms, 5 baths, premium bldg materials, heat recovery, air cond/exchange system, security alarm & quality sound system, home theatre pre-wired. Bright bsmt with separate entrance. Close to shopping amens. 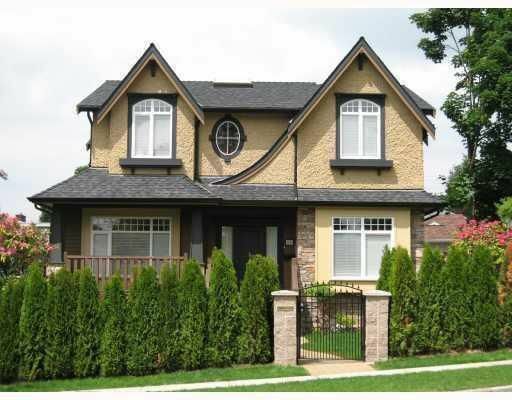 One to two minutes walk to both Quilchena Elementary & Point Grey School. Approx 200 SF add'l living space in all glass sunroom. Beautifully flowered garden landscaped with boulders. Spacious, bright & clean. Easy to show. A must see!